On Monday July 23, Eastern Maine Medical Center, one of our EMHS Foundation Children’s Miracle Network Hospitals in Bangor, will begin an annual preventative maintenance project, addressing general wear-and-tear in parking garages located at our State Street campus. In an effort to minimize the impact to patients, visitors and our employees, the work will be sectionalized so that only portions of the garage will be affected at any given time. Crews will use a combination of cones, barricades, signs and, if needed, a flagger to help patients, visitors, and staff navigate the impacted areas. Drivers visiting EMMC and utilizing our parking garages should be alert for these signs and signals. As a reminder, free valet service at the Main Entrance to the Medical Center is available Monday through Friday from 5 am to 5 pm and Saturday from 8 am to 5 pm. 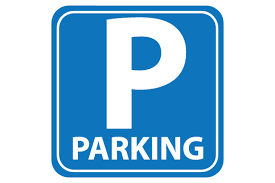 Valet service at the Webber Buildings circular drive is offered Monday through Friday from 8 am to 4:30 pm.